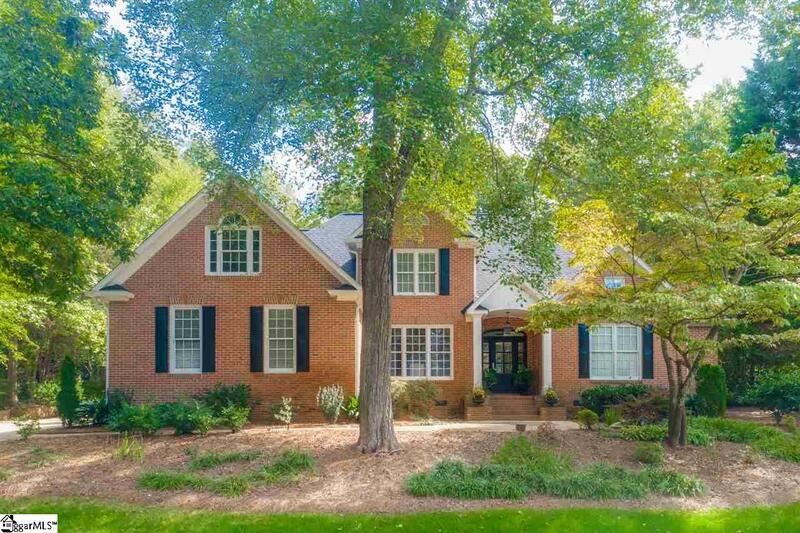 Come home to this beautiful home in the popular Thornblade golf course community. Home of the BMW Charity Golf Classic. This beautiful newly painted home features an open floor plan with lots of room for entertaining and enjoying family time. The great room is open to the kitchen and breakfast room which features an expansive cathedral ceiling and lots of upgrades including new granite, all new appliances, added beams, and bar area. You can warm yourself by the beautiful quartz/tile fireplace. The first floor master bedroom features french doors leading out to the 34X15 patio overlooking a lush landscape. (New hardwood floors through the house) New oversized tub, new oversized shower, and double vanities. You'll enjoy the huge walk in closet with lots of built ins. Upstairs are three more generously size bedrooms and a bonus room! Walk in attic with lots of storage space. ***Improvements and upgrades over the last few years include new front porch, new front door, all new hardwoods, high end Restoration hardware fixtures, paint, new stairway rails, new appliances, granite in kitchen and bathrooms, and $10,000 in landscaping. Listing provided courtesy of Donna Stegall of Bhhs C Dan Joyner - Easley.